Perma-Fix Environmental Services, Inc. (Nasdaq: PESI) today announced results for the third quarter ended September 30, 2007. Dr. Louis F. Centofanti, Chairman and Chief Executive Officer, stated, "We are pleased to report that overall sales at Perma-Fix were up for the quarter, driven by the Nuclear Segment, which benefited from our recent acquisition of PEcoS, a facility strategically located adjacent to the Hanford site in Richland, Washington. This new radioactive and mixed waste facility, which we have renamed Perma-Fix Northwest Richland, Inc., began contributing revenue just prior to the start of the third quarter. We are very pleased with the initial results of the facility. Given the scale and complexity of the waste at the Hanford site, we look forward to steadily increasing revenue from this facility as projects in the pipeline begin to ramp up and new ones come online. We are also installing new processes for the treatment of mixed waste at this facility that will provide future expansion opportunities. We generated additional revenue during the quarter as a result of a process we recently put in place to treat mid-level radioactive waste at our facility M&EC South Bay." "Within the Nuclear Segment, the company experienced a shift in the product mix towards higher volume yet lower margin wastes, which negatively impacted both margins and EBITDA for the third quarter. However, we attribute this decline to normal waste cycles at the Department of Energy (DOE). Our Nuclear Segment also incurred additional expenses as we stepped-up our bidding activity on a number of DOE proposals for new nuclear and mixed waste remediation projects in 2008. We fully expect to participate in several of these large projects and anticipate both near-term and long term growth opportunities within our Nuclear Segment as we expand our operations at the Hanford site, move into the treatment of higher level waste streams, and continue to bid on an increasing number of new DOE projects." Dr. Centofanti concluded, "Earlier this year, we made the strategic decision to focus exclusively on the multi-billion dollar market for nuclear waste services. To that end, we are in the process of divesting our Industrial Segment to focus our expertise entirely on the higher margin nuclear services. As a result, we absorbed a much higher percentage of the corporate overhead within our Nuclear Segment, but expect to adjust these expenses accordingly following the divestiture of our Industrial Segment. We continue to make progress on the sale of the Industrial Segment. Overall, we remain extremely excited about the outlook for our business within the untapped market for nuclear waste treatment-given the high barriers to entry, as well as our strong leadership position in the industry." Revenue for the third quarter of 2007 increased 14% to $13.8 million, versus $12.1 million for the same period last year. Revenue for the Nuclear Segment increased 20% to $13.2 million versus $11.0 million in the same period last year. The increase in Nuclear Segment revenue for the quarter reflected higher volumes of waste including treatment at the Company's new Perma-Fix Richland facility. Revenues from the Engineering Segment declined to $629,000 versus $1.1 million for the same period last year due in part to a large event project in 2006 that did not repeat in 2007. Operating loss from continuing operations for the third quarter was $124,000, versus operating income of $600,000 for the same period last year. 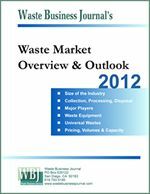 The decrease in operating income primarily reflects the lower margin waste treated within the Nuclear Segment. Loss from discontinued operations, net of taxes, totaled $1.8 million. Loss from discontinued operations included a tangible asset impairment of Perma-Fix of Dayton (PFD) assets for $564,000 and a litigation settlement charge between PFD and the Citizens Suit of $825,000, relating to an agreement in principle to settle the citizen's suit portion of a lawsuit against PFD, representing a potential settlement of this portion of the lawsuit for approximately $1,325,000 less $500,000 that our insurer has agreed to pay. During the second quarter of 2007, we reserved $800,000 in connection with an agreement in principle to settle the government's portion of the above lawsuit against PFD. We are in discussions with our insurer to determine if it will increase the amount that it will pay towards the settlement of the citizen's suit and whether it will pay any portion of a proposed settlement with the government. Settlement of this lawsuit is subject to numerous conditions being met. Net loss applicable to common stock for the third quarter of 2007 was $2.0 million, or a loss of $0.04 per share, versus net income of $330,000 or $0.01 per share, for the same period last year. The Company's EBITDA from continuing operations was $1.3 million during the quarter ended September 30, 2007, as compared to approximately $1.6 million for the same period of 2006. The Company defines EBITDA as earnings before interest, taxes, depreciation and amortization. EBITDA is not a measure of performance calculated in accordance with accounting principles generally accepted in the United States ("GAAP"), and should not be considered in isolation of, or as a substitute for, earnings as an indicator of operating performance or cash flows from operating activities as a measure of liquidity. The Company believes the presentation of EBITDA is relevant and useful by enhancing the readers' ability to understand the Company's operating performance. The Company's management utilizes EBITDA as a means to measure performance. The Company's measurements of EBITDA may not be comparable to similar titled measures reported by other companies. The table below reconciles EBITDA, a non-GAAP measure, to net income for the three months ended September 30, 2007 and 2006. Perma-Fix Environmental Services, Inc. is a national environmental services company, providing unique mixed waste and industrial waste management services. The Company has increased its focus on the nuclear services segment, which provides radioactive and mixed waste treatment services to hospitals, research laboratories and institutions, numerous federal agencies including DOE and the U.S. Department of Defense and nuclear utilities. 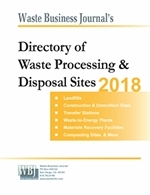 The industrial services segment provides hazardous and non-hazardous waste treatment services for a diverse group of customers including Fortune 500 companies, numerous federal, state and local agencies and thousands of smaller clients. The Company operates nine major waste treatment facilities across the country. This press release contains "forward-looking statements" which are based largely on the Company's expectations and are subject to various business risks and uncertainties, certain of which are beyond the Company's control. Forward-looking statements include, but are not limited to, given the amount and complexity of the waste at the Hanford site, and we look forward to steadily increasing revenue from this facility as projects in the pipeline begin to ramp up and new ones come online; installing new processes for the treatment of mixed waste at our Perma-Fix Northwest Richland, Inc. facility that will provide future expansion opportunities; fully expect to participate in several new DOE nuclear and mixed waste remediation projects in 2008; anticipate both near-term and long term growth opportunities within our Nuclear Segment; continue to bid on an increasing number of new DOE projects; settlement of this lawsuit is subject to numerous conditions being met; expect to adjust corporate overhead expenses accordingly following the divestiture of our Industrial Segment; we remain extremely excited about the outlook for our business within the untapped market for nuclear waste treatment-given the high barriers to entry, as well as our strong leadership position in the industry and the divestiture of our Industrial Segment. These forward-looking statements are intended to qualify for the safe harbors from liability established by the Private Securities Litigation Reform Act of 1995. While the Company believes the expectations reflected in this news release are reasonable, it can give no assurance such expectations will prove to be correct. There are a variety of factors which could cause future outcomes to differ materially from those described in this release, including, without limitation, future economic conditions; industry conditions; competitive pressures; and our ability to apply and market our technologies; that neither the federal government nor any other party to a subcontract involving the federal government terminates or renegotiates any material contract granted to us prior to expiration of the term of the contract, as such contracts are generally terminable or renegotiable on 30 day notice, at the government's option; or the government or such other party to a contract granted to us fails to abide by or comply with the contract or to deliver waste as anticipated under the contract; that Congress provides funding for the new remediation projects; and the additional factors referred to under "Special Note Regarding Forward-Looking Statements" of our 2006 Form 10-K and the Forward-Looking Statements discussed in our Forms 10-Q for the quarter ending March 31, 2007 and June 30, 2007. The Company makes no commitment to disclose any revisions to forward-looking statements, or any facts, events or circumstances after the date hereof that bear upon forward-looking statements. Please visit us on the World Wide Web at www.perma-fix.com.